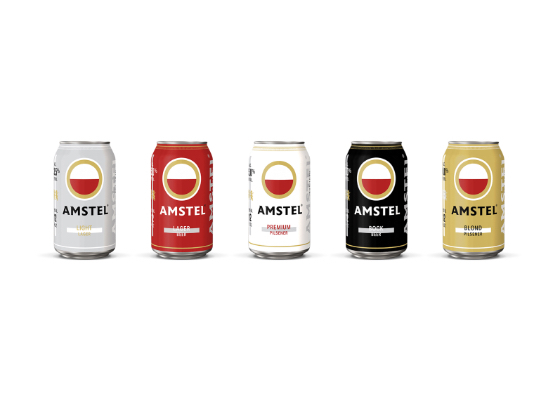 The Amstel can design represents a crucial piece of a comprehensive rebrand project. The packaging brings the new visual identity design directly to the consumer's hands. 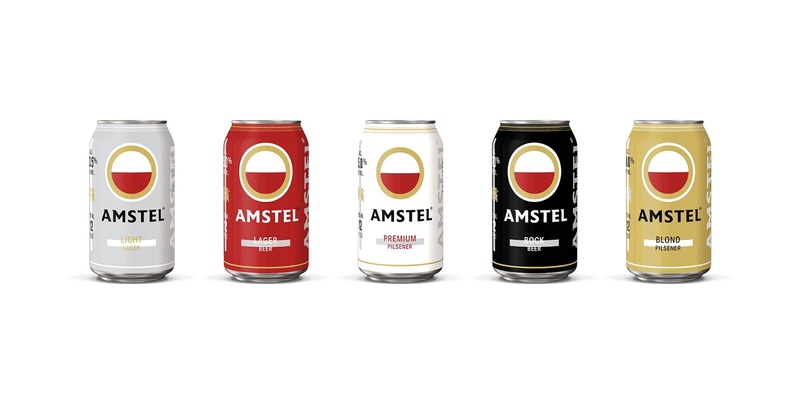 The transformation of the Amstel Rebrand project embraces modernity while preserving the rich heritage of the brand that has been built since 1870, the year of the brand's creation. 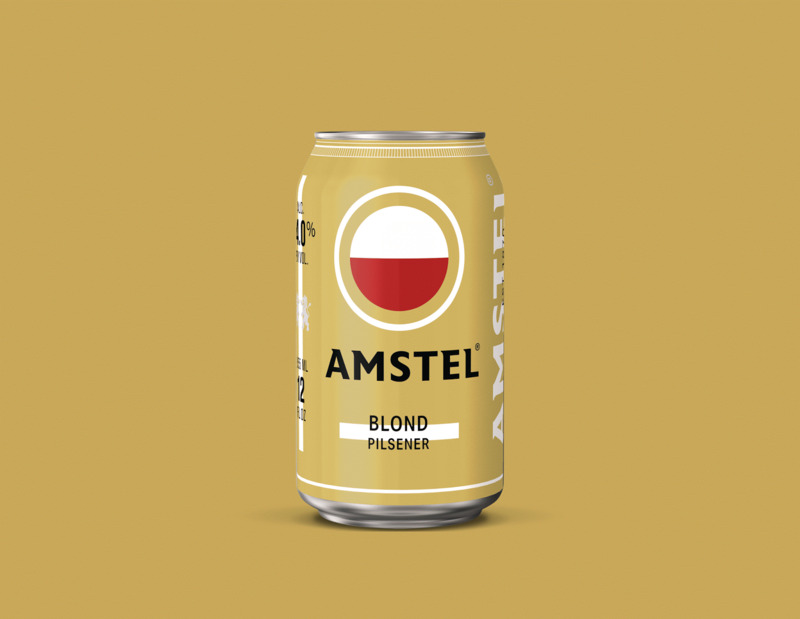 From logo and package redesign to standards manual design, the new brand identity expresses Amstel's timelessness and the legacy of the friendship of the first brand owners: Charles de Pesters and Johannes van Kooy. The brand’s most memorable elements were isolated to their purest forms. 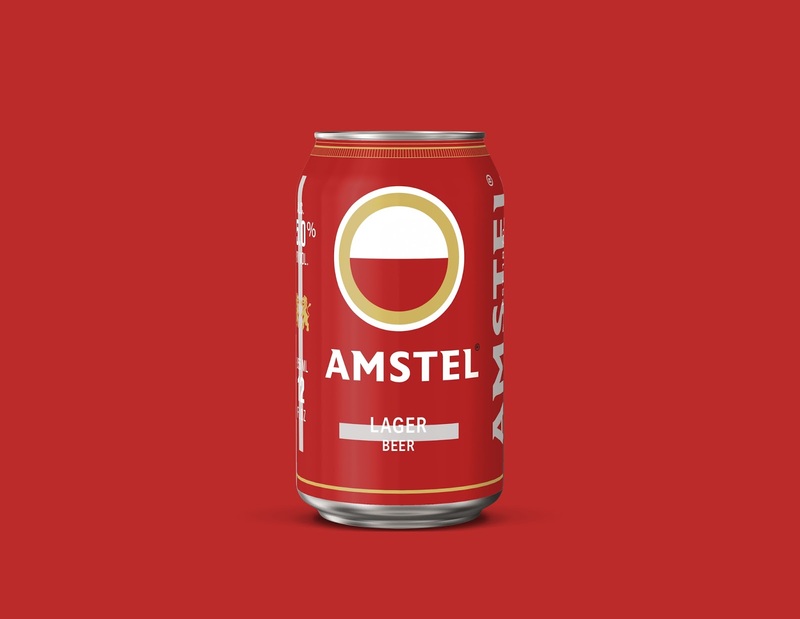 From the very beginning, in 1870, Amstel’s brand mark has relied on extraordinarily simple elements to be recognized all over the world: a red half circle enclosed by a golden circle. 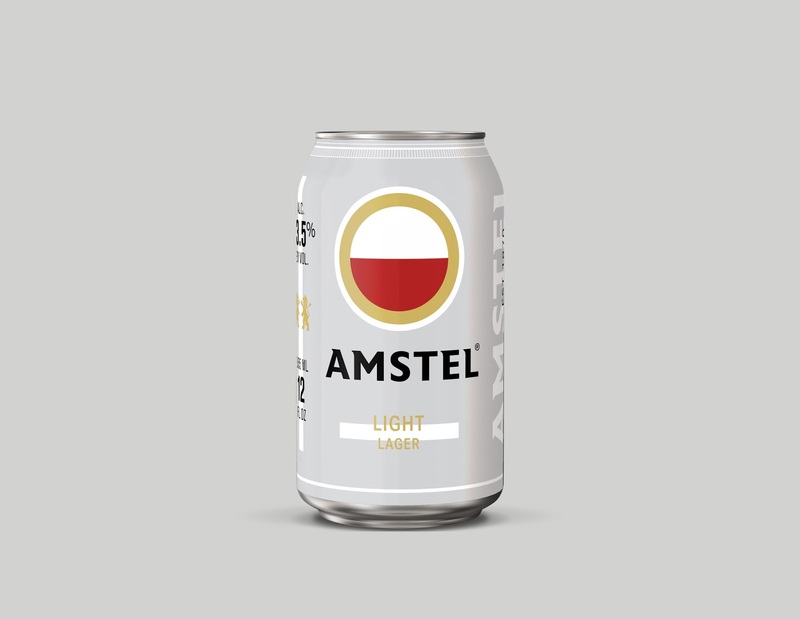 The simple forms effortlessly express the idea of container and support, while the circular shape suggests continuity, the key to Amstel’s brand message of timeless quality. The new logo preserves and builds on this iconic foundation, providing a crisper look that improves the brand’s power and memorability. The new identity is built using the core elements found in the original logo —geometry and color— with a minimalist approach. 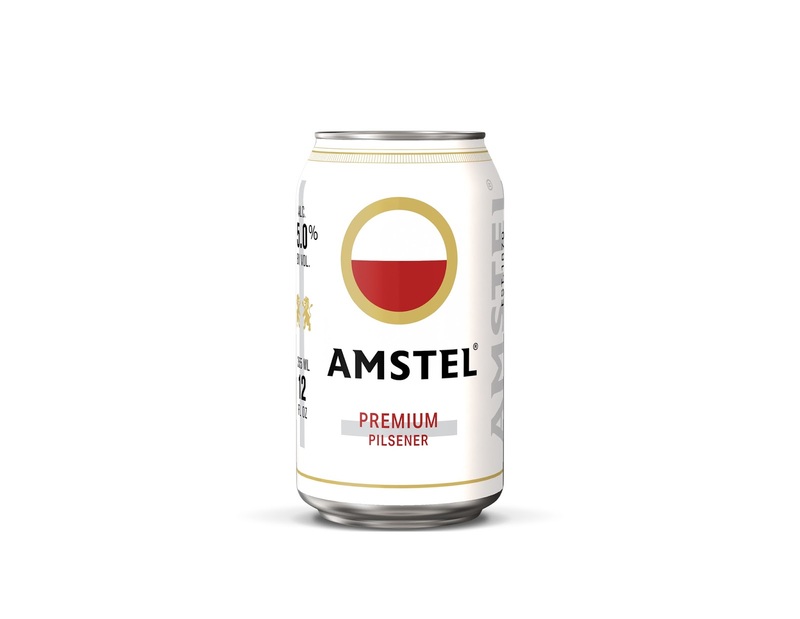 The rebrand comes to life in the new can design. 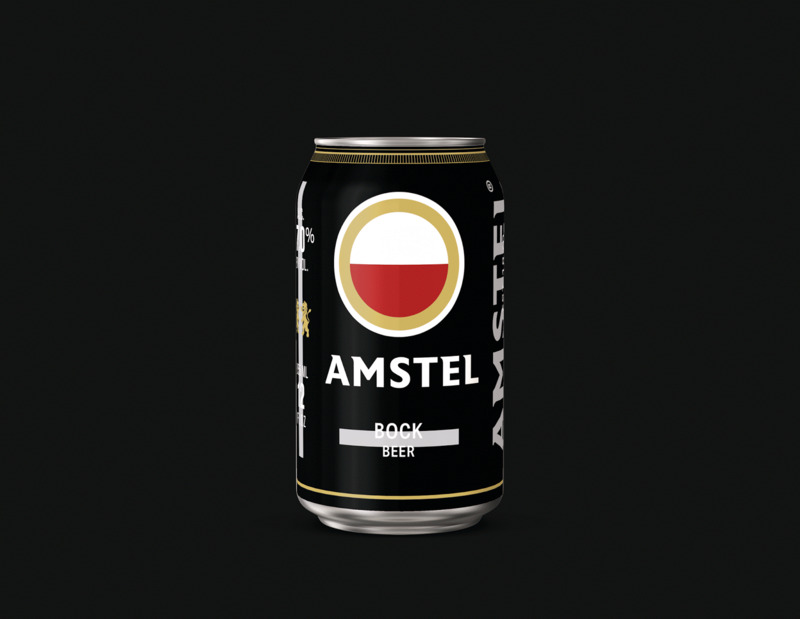 The new can design brings a unique approach to the brand. The interesting layers of type and design elements result in a deconstructed eye-catching minimal theme. The aluminum of the can is also used as a design element, displayed as light gray details in the layout.